Are your bathroom fixtures and countertops outdated and stuck in a different decade? 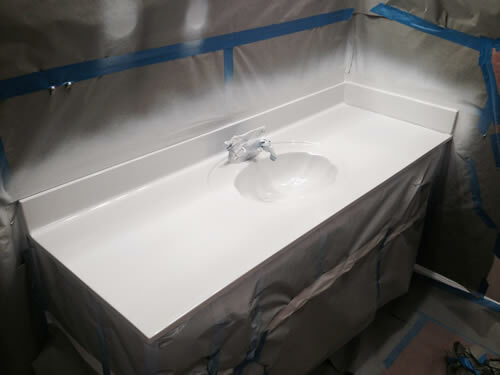 Resurfacing bathroom surfaces can be a more economical way to update the look of your bathrooms. Remodeling can be pricey and time consuming, but refinishing the bathroom is a faster and more practical way to upgrade your home. 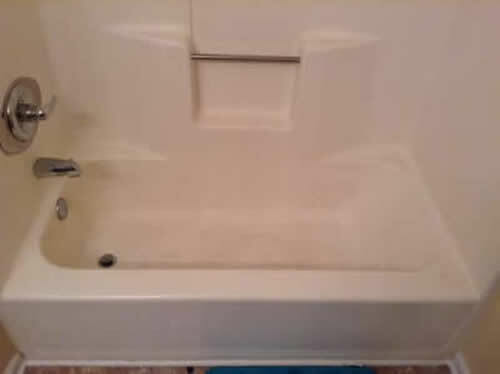 Is your bathtub, sink, or shower scratched from years of abrasive cleaners, daily use, or abuse? Refinishing can give your fixtures a brand-new appearance and make them easier to maintain and clean in the future. Bathrooms and kitchens are the most important rooms when it comes to reselling your house. 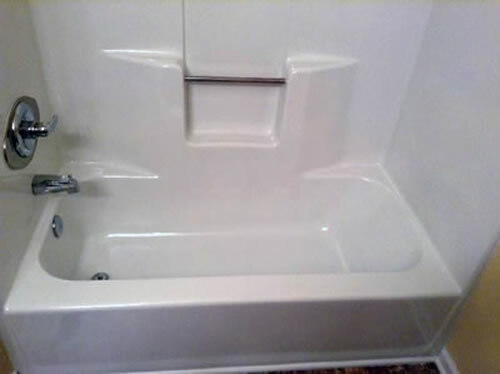 It is imperative that your countertops, showers, tubs, and sinks look polished, maintained, and in excellent condition. Do people think they stepped back in time when they enter your bathroom or kitchen? It is time to update the colors and bring the room into the current decade. If you own multiple properties, remodeling the bathrooms and kitchens can become expensive and time consuming. 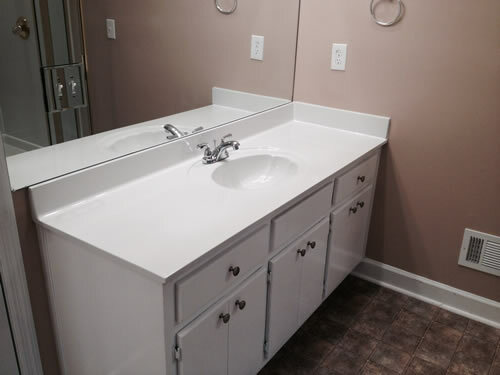 Refinishing is a much faster and a more economical way to prepare your countertops, sinks, showers, and tubs for the next tenant. Refinishing your bathroom or kitchen enables you to bring beauty back to your house’s unique and original fixtures. If your house has an elegant claw-foot tub or a classic farmhouse sink that are looking damaged, you can salvage the beauty by resurfacing the fixtures. Recon Atlanta is fully licensed and insured for all your project needs.